How Should I Tell My Parents I Want To Look For My Birth Family? The first, and oftentimes hardest, step in beginning an adoption search is making the decision to do so. The second can be telling your parents. You may believe that your parents will be hurt by the decision. You may even have been told by them that they hope you will not search. Maybe disparaging remarks have been made about your birth mother or father over the years. 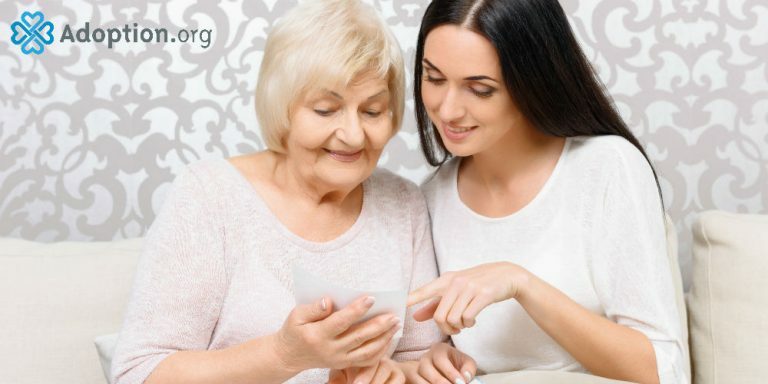 Your parents may have openly and frequently shared that they support you searching for your birth family, yet it still feels like you are betraying them or will deep-down hurt them by doing so. Here’s what you need to know. Like all difficult, exciting or stressful conversations in life, it can help to prepare what you are going to say in advance. Being honest, open and vulnerable about your feelings will help you express your true feelings and likely allow your parents to understand why this is important to you. With all good talks, preparation does not mean laying out verbatim what you plan to say, rather giving yourself an outline or bullets on the points you want to touch on can be incredible helpful. Practicing with a loved one can be incredible helpful after you have your thoughts prepared. See if your spouse, a friend, or sibling who supports your search will listen and role play with you. These individuals likely know you and at least know of your parents and can provide potential questions or responses that they may raise during the conversation. If you are under the age of 18 you will likely need your parent’s help in beginning a search. You will likely not be able to get access to your original birth certificate, court records, or hire search professional, like a private investigator, to help with your search without their consent and assistance. Understand that this may make it a more difficult conversation, however, doing your research beforehand and understanding the steps, time, and costs associated with it will make it easier for them to assist. Most of all, find the right time and place to discuss your search desires with them. Sharing it abruptly after they may have had a stressful day at work or choosing to do so over the phone may not be the best ideas. Meeting face-to-face is best and asking them to set aside a specific time and place to do so is great. Maybe ask if you can have a family meeting after dinner one night if you are still living at home. You may suggest lunch or a coffee meeting and get it solidified on the calendar. If a phone call is the best due to logistics, make sure you email first and ask when is best so you know there will be few interrupts. Remember above all else that your family and parents love you so very much. Any pain or emotions that may arise from this conversation are likely due to their fear of losing you or pain in having to share you with a birth family. They may fear getting replaced, abandoned or that you will love your birth parents more. These may be irrational fears, but their emotions are real. Keeping that on your mind will help you be empathetic and understanding of their response. If friction comes from the conversation, maybe suggest counseling or ask if they will be a part of the search process with you. Being involved may help they feel important and safe in your love. For extra help in your search to find birth parents, visit the new search and reunion website AdoptionInformation.com. Jennifer Mellon is the co-founder and president of Trustify, providing private investigators on demand to consumers and businesses. She has worked in the child welfare field for more than a decade, serving as the executive director and chief development officer at Joint Council on International Children’s Services. She also worked for the Congressional Coalition on Adoption Institute (CCAI) and served on the board of the Campagna Center, which provides critical educational services to children and families in the DC Metro region. She currently serves on the development board for the National Council for Adoption and currently resides in Alexandria, Virginia, with her husband and five children.